I consider Temecula Valley the underdog wine country of California, but hell if I didn’t taste some great wines during my time there. 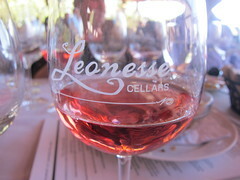 I was especially impressed with a wine pairing lunch at Leoness Cellars. 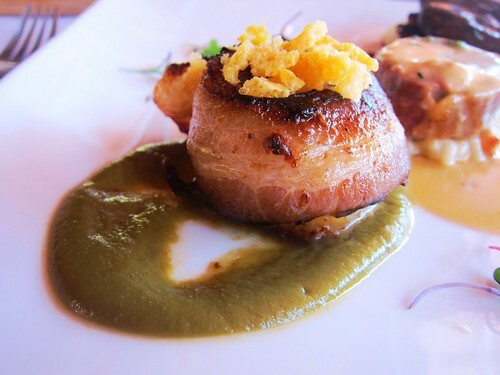 Chef Daragh Matheson really knows how to make delicious food that pairs so well with the wines there and there are some really nice blends, including a Viognier one, that they make. Another highlight was trying some intense wines from the smallest winemaker in the valley, Doffo Wines from father and son team, Damian and Marcelo. And don’t miss Miramonte Vineyard & Winery, either. They’re trying some new things over there with Rhone-based varietals that are pretty exciting. 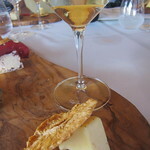 I had a fantastic cheese pairing experience there that hopefully they may replicate during the weekend. Of course, if you want to go with the big guys, that would be South Coast Winery, which has the highest output of the valley. You’ll have a chance to visit all the wineries of your choosing at this weekend’s 22nd Annual Harvest Celebration Barrel Tasting Weekend. It’s a 2-day event offering guests the chance to visit, on a self-guided tour, up to 35 Temecula Valley wineries. All will offer wine and barrel samples as well as delicious food pairings and plenty of live entertainment. Better yet, if you want a ride to all the stops, you can book your ticket with The Grapeline Wine Country Shuttle for the ultimate designated driver. It’s the final passport event of 2012, so don’t miss it! It’s a great way to get familiar with the Los Angeles-adjacent Southern California wine country. This entry was posted in Events, Food, Music, Temecula, Travel, wine and tagged @temecula_wine, Barrel Tasting Weekend, Harvest Celebration, Leoness Cellars, live music, Miramonte Vineyard & Winery, South Coast Winery, Southern California, Temecula, Temecula Valley, wine, wine country. Bookmark the permalink.